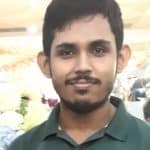 Manjaro Linux is one of the finest Linux distros out there that brings the experience of Arch in a very simple manner. Arch Linux is a difficult one for sure, at least, for new users. Now, Manjaro takes the step further by simplifying the entire system and making Arch more user-friendly than ever. 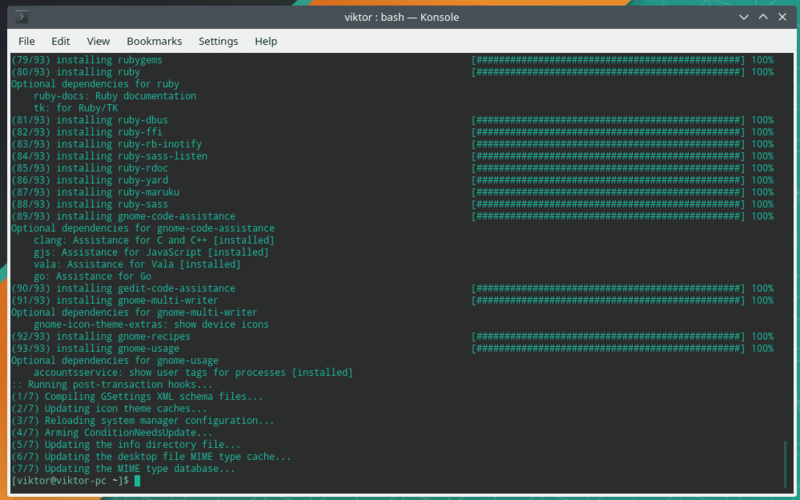 If you’re a new or moderate Linux user, feel free to try out Arch today with Manjaro Linux! Arch is definitely more respected than the other Linux systems. That’s why I love Manjaro; it allows me to brag about running Arch Linux! Now, Manjaro Linux comes up in tons different desktop environments such as Xfce, KDE Plasma, GNOME, MATE, Budgie, Cinnamon, LXDE, and a lot more. You may have already used all of them by now. GNOME is a mid-weight and powerful desktop environment that comes up with a ton of its own apps, known as “GNOME Apps”. Is GNOME your favorite desktop environment? If that’s so, then let’s enjoy GNOME on our favorite Manjaro! 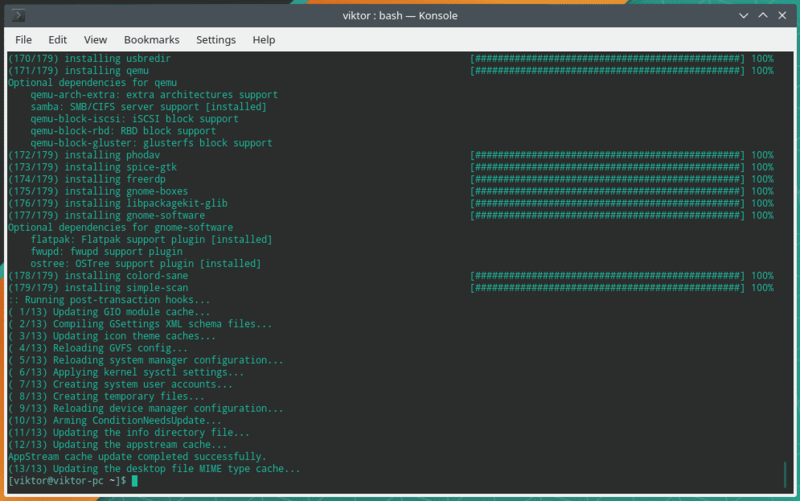 There are mainly 2 ways of getting GNOME as the desktop environment on Manjaro – installing Manjaro (GNOME edition) or installing GNOME separately. Don’t worry; both will be covered. 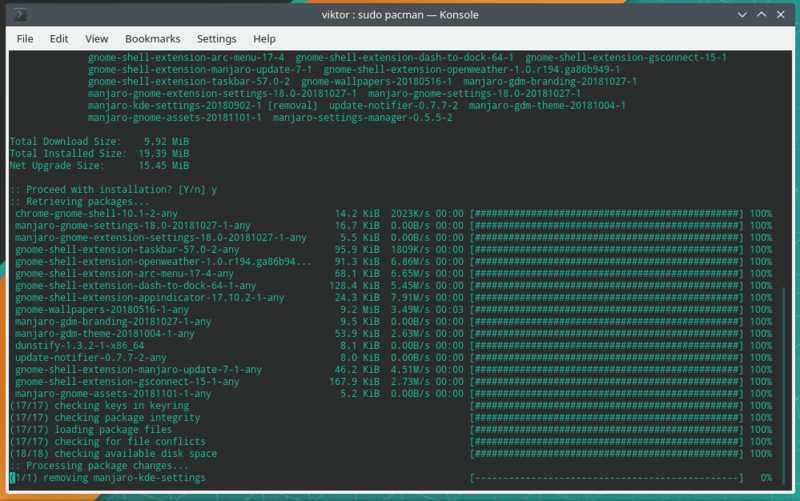 Get the latest ISO of Manjaro (GNOME edition). Then, you have to install Manjaro Linux using the downloaded ISO. You can test the installation process on VirtualBox or install it directly into your system. In each case, the steps are same. If you have the luxury, following the previous method is STRONGLY recommended. Mixing more than one desktop environment in the single system may lead to some stability issues and other display glitches. If your current system is using any other desktop environment other than GNOME, then follow the following steps. This step is optional but recommended. It will install the additional GNOME features (themes, games etc.). Now, the Manjaro part. Manjaro Linux officially offers various tweaks and theming for GNOME. Installing the tweaks will enable better compatibility and performance on your system. Finally, it’s time to update the current user. After every single configuration is complete, restart your system. Voila! Now, GNOME is the default desktop environment of your Manjaro!